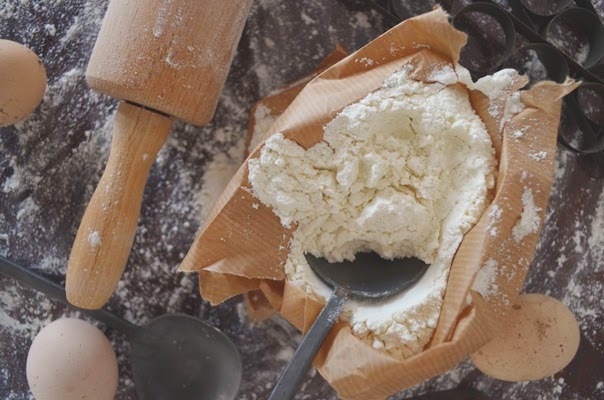 Flour <i>(Part II)</i> - A Guide to the different kinds of Flour. Flour (Part II) - A Guide to the different kinds of Flour. Before I start with any new projects and recipe-sharing, I still need to finish my one ingredient: flour. Remember how important flour is? It's the structure and base of any baked good. Especially the proteins in flour play a large role in shaping the end product. But even knowing all that, there's still something missing. Every flour has a different purpose and the amount of proteins can vary even per bag of flour. So knowing a bit more about the different types of flour is essential. You can't just substitute any flour with a different one - you'll see why. Wheat flours are achieved by milling wheat grains to various degrees. Some will use only the endosperm, while others include the bran and the germ of the wheat. I've sorted a few of the most widely used flours by their 'hardness', or the amount of proteins they contain. Harder flours contain more proteins and thus can absorb more water and create a stronger structure. Cake flour - Cake flour made from soft wheat flour and is milled to a finer texture than all-purpose or pastry flour. It has a very low protein content, which keeps the gluten formation at a minimum. It's used for cakes and biscuits and other goods that don't need a lot of gluten, but require that soft, delicate and tender texture instead. Pastry flour - This flour is a bit 'harder' than cake flour. It has more gluten formation than cake flour, but still contains less proteins than all purpose flour. It's often used the same way as cake flour. It has a finer texture than all purpose flour making this flour perfect for pastries, cookies, biscuits and quick breads. White, Plain or All-purpose flour – All-purpose flour is a blend of hard and soft flours: it’s right in between cake flour and bread flour. You could even mix them 1:1 and get this versatile flour. It can be used for.. well, all purposes really. Bread flour - This is a hard wheat flour, meaning it has a high amount of proteins. It's used for baked goods that need a lot of gluten such as breads and buns. The stronger gluten give structure to the rising dough and ensure a chewy texture. The high gluten content helps the bread rise and gives it shape and structure. 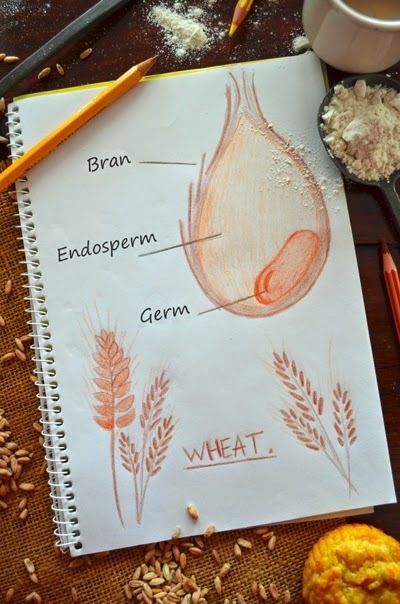 * Whole-wheat flour - While all other flours use only the endosperm, whole wheat flour uses the whole grain (from endosperm to germ) to grind to flour. As a result this flour contains more nutrients and fiber. Because the bran can interfere with the formation of gluten, whole wheat flour often produces heaver and denser products than all-purpose, bread or cake flour. Whole wheat flours can vary from whole wheat bread flour to whole wheat cake flour. Stone ground flour is a whole wheat flour with a coarser texture. * Self-raising flour - This is another flour that uses only the endosperm of the wheat grains. Self-raising flour is really just an all-purpose flour with chemical leaveners (normally baking powder) and occasionally salt added to it. 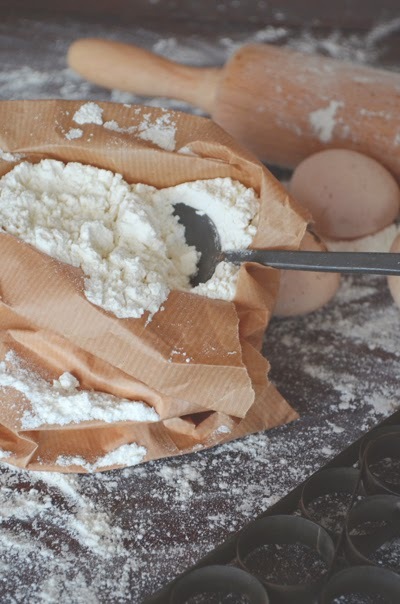 Only use self-raising flour when a recipe specifically asks for it. Self-raising or self-rising flour from the US contains salt as well: 1/4 teaspoon salt per cup. Not every flour is made of wheat. There is a whole range of different milled grains and nuts that are used as flours. Below I try to explain just a few of these. Some flours contain proteins and can be used to bake cakes and even bread. Some flours don’t contain the proteins glutenin and/or gliadin, but can still be used to create a unique texture or flavour. Graham flour – Graham flour is a type of whole wheat flour made by milling the endosperm very finely and the germ and bran coarsely. The flours are then mixed together to create a more nutritious flour. Rye flour - Rye flour is made from rye grains and is comparable to whole wheat flour. Because the bran and germ are included in the milling process, it often results in denser baked goods. Rye has a high amount of gliadin, but a lot less glutenin, which means it has less gluten formation than wheat flour. It contains more fiber than wheat flours. Barley flour – This flour is made from a different type of grain: barley. Similar to rye flour, barley flour contains a lot of fiber and less gluten than wheat flours. Spelt flour - Spelt flour contains less gluten and is lighter and softer than normal flour. Wheat flour can relatively easily be substituted by spelt flour. Spelt breads may be denser in structure and need more yeast. Quinoa flour - Another flour full of proteins, especially aminoacids, but this time without gluten. Quinoa flour can have a bitter taste. Substitute no more than half the amount of flour called for in a recipe. The texture will become a lot more dense and coarse. Corn flour or corn meal - This flour is made by milling corn kernels. It contains no gluten and is therefore not suitable as a base for breads. Corn starch is made from the endosperm of the corn kernels and is often used for thickening soups and sauces. Rice flour - This flour is made by milling rice grains. There are different sorts of rice flour ranging from white to brown and glutinous (sweet) rice flour. Rice flour is lighter in texture than wheat flours and contains no gluten. Almond (or other nut) flour - Almond flour contains a lot of proteins and healthy fats as well as a lot of vitamin E. It does however not contain the proteins to make gluten, making it unsuitable as a base for cakes and bread. It is possible to exchange a quarter of the flour called for in a recipe for almond flour. Soja flour - The amount of proteins, calcium and fiber make this flour a very healthy option. However, it does not contain glutenin en glutadin, making it unsuitable for cakes and breads. Substitute no more than a third of your normal flour in cake recipes. Soja flour is a perfect substitution for wheat flour when it comes to thickening sauces and soups. And don't forget buckwheat, chickpea, oats, potato, soy, chestnut, acorn, tapioca, peanut, coconut, banana and other fruit and vegetable flours (just to name a few). 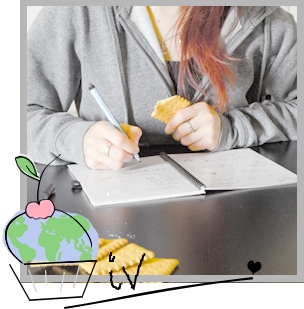 What I found the most interesting about this research was the huge variety in flours. Apparently in Europe, bleaching and adding any sorts of additives to flour is forbidden on a production level. Flour is simply milled wheat grains and to self-raising flour only baking powder is added. In the US one could find ‘enriched, bleached all-purpose flour, pre-sifted’. Self-raising flour from the US also appears to contain salt. Hell, some countries don’t even differentiate between pastry and cake flour. Although I never noticed during baking, I find it fascinating to know that there are such big differences across the world in such a basic ingredient!